Silver Road Fronts The Property And Has Power. Forest Is A Mix Of Hardwoods And Softwoods. 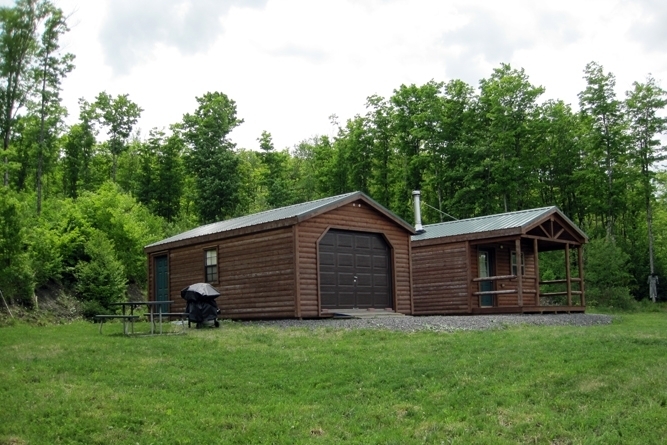 The Off-Grid Cabin And Garage Are Solidly Built. 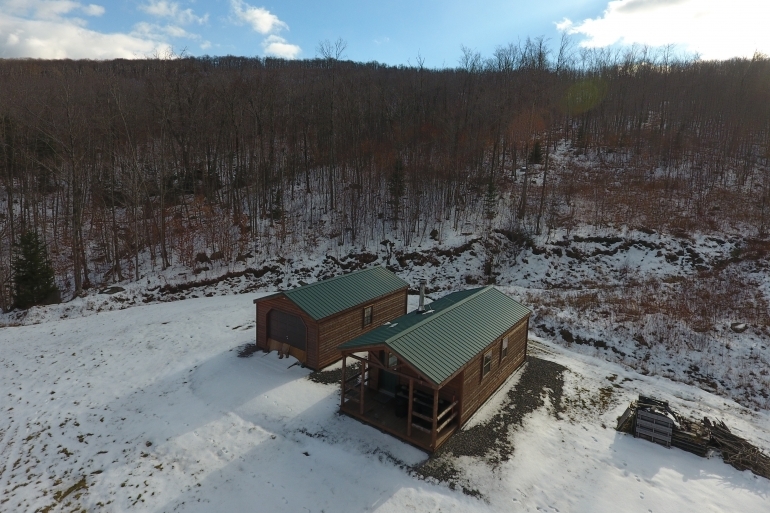 Stannard Mountain Forest offers some special features well-suited to the outdoor recreational enthusiast, with highlights including a developed cabin at the property’s center with long range views, outstanding big game wildlife populations, adjacent state lands and extreme privacy. If outdoor adventures tug at your soul we think you’re going to enjoy exploring the property details. 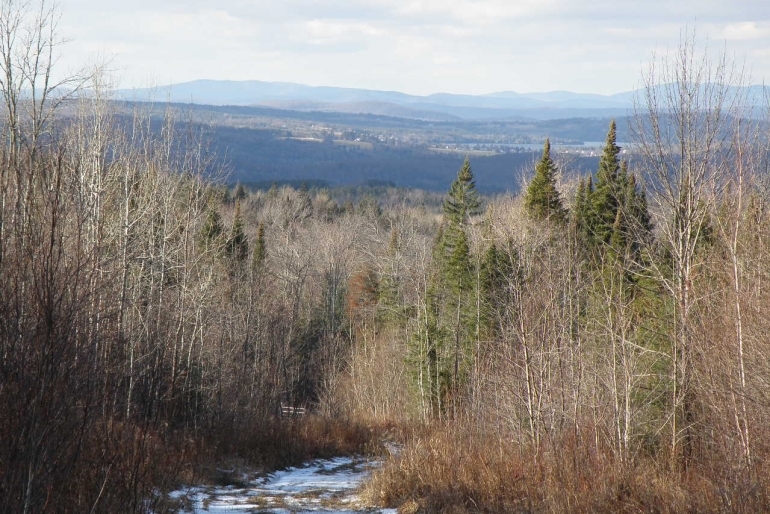 Stannard Mountain Forest is in the Northeast Kingdom region of Vermont. Stannard is a small bedroom community with less than 200 residents. Many of the town residents commute to surrounding towns for employment. The town of Greensboro, home to Caspian Lake (7 miles to the north and within view of the property), hosts vibrant summer and winter communities. In the summer months, out-of-staters flock to cabins and homes around the lake. Local events and fairs are common. The winter offers hundreds of miles of well-maintained cross country ski trails from the Highland Lodge and regional snowmobile trails. 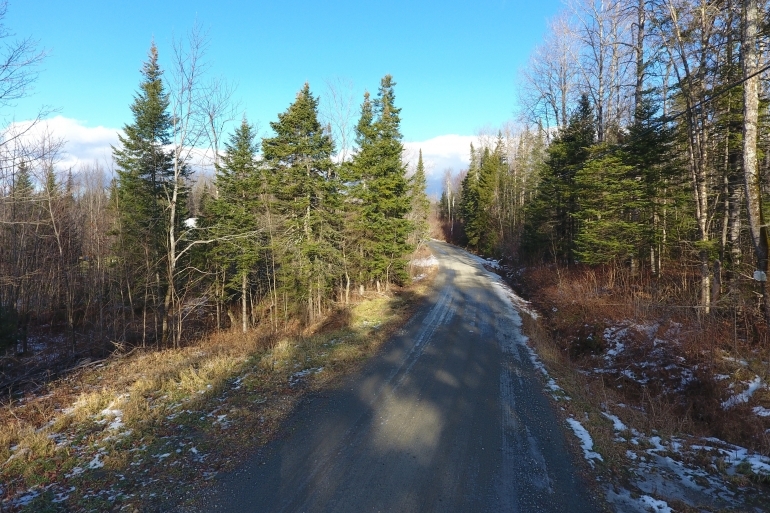 The property has approximately 500’ of frontage along Silver Road, a quiet, year-round, town-maintained gravel road that ends just east of the land. Electric power and telephone service runs along the road frontage. A private, gated internal access road that is a half mile in length runs into the center of the forest. The road is well ditched, outfitted with culverts and suitable for most vehicles. It terminates at the cabin site adjacent to the land’s main stream. Beyond, the road continues to the west and parallel to the slope of the land for nearly 1,000'. This stretch is perfect for ATVs, skiing and hiking. 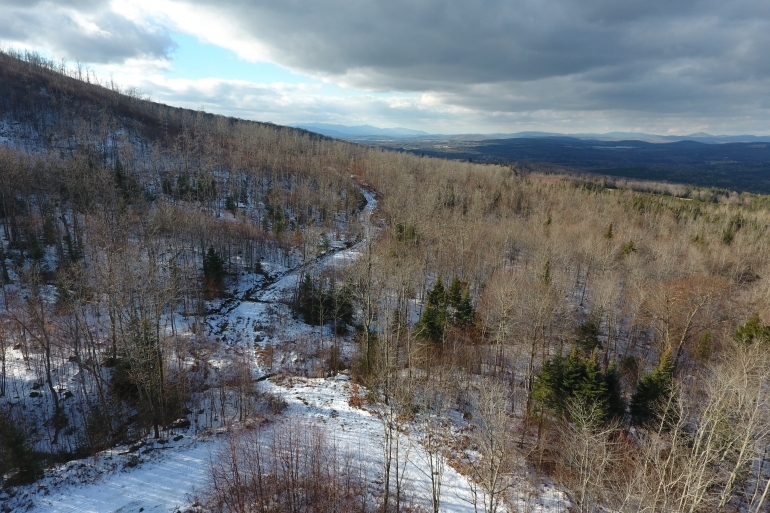 Positioned on the northern slopes of Stannard Mountain, the property offers gently-sloped terrain that gradually rolls away to allow for wide, long-range views of many natural features including Caspian Lake, Flagg Pond, Jay Peak and Mount Mansfield. The large acreage provides extensive privacy and recreation. An eastern peak of Stannard Mountain is within the property boundary, rising to an elevation of 2,560’. Below this notable mountain is the developed cabin, site and grassy opening. This retreat location is in the center of the property at an elevation of 2,132’. Steam Mill Brook Wildlife Management Area is 10,000 acres and spans several towns. In Stannard, 2,300 acres, a quarter of the town's land area, are part of the complex. 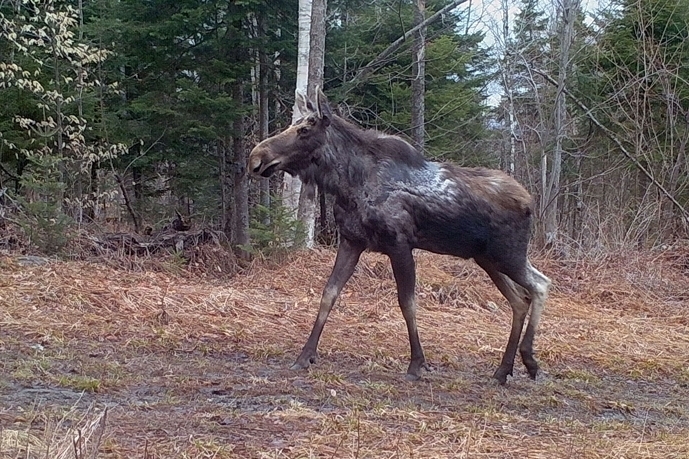 The Wildlife Management Area is owned by the State of Vermont and managed by the Fish and Wildlife Division. 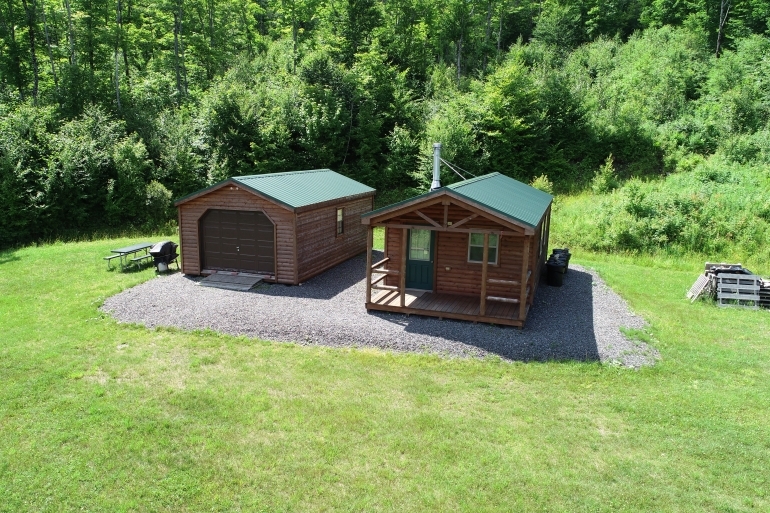 It borders the property for 1.4 miles on two sides and is an easy walk or cross country ski from the cabin site. This vast, undeveloped acreage supports some of the most active large mammal populations in the region. 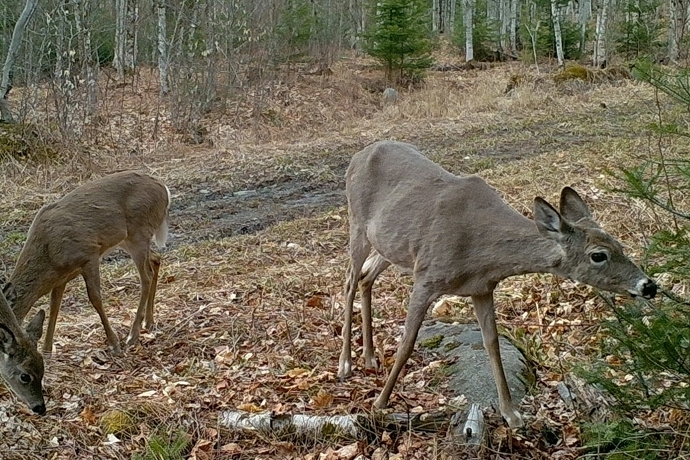 Black bear, moose, coyote, and white-tailed deer are common sites from the camp area. Soil drainage and past land use practices have defined the age and species composition of the timber resource. On the northern portion of the land, where terrain is gentle and past agricultural activity was most intense, the species composition is mixed. Here, spruce and fir are common, with associated hardwoods of maple, ash, birch and aspen. 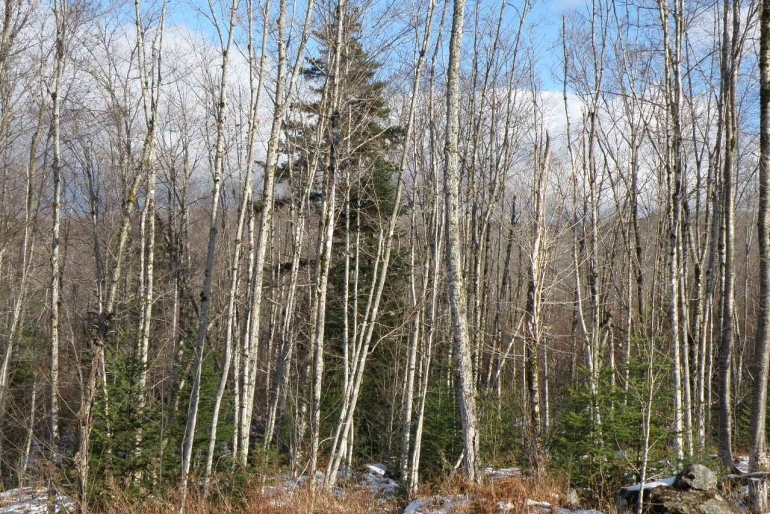 The area covers roughly 30% of the acreage with saplings and pole-sized stems (the latter 6-12”). Several maintained trails running through this area are ideally suited to recreational pursuits. The balance of the forest resource is dominated by hardwood species, which are suited to the well-drained, deeper soils within this area. Sugar maple is the primary species with beech, birch and red maple as common associates. The majority of the overstory stems are within the 6-12” size class. The highlight of the forest is the easily accessible but remote cabin site. Here long-range views can be enjoyed from the porch of the new cabin, hand constructed by Pennsylvania Mennonites. 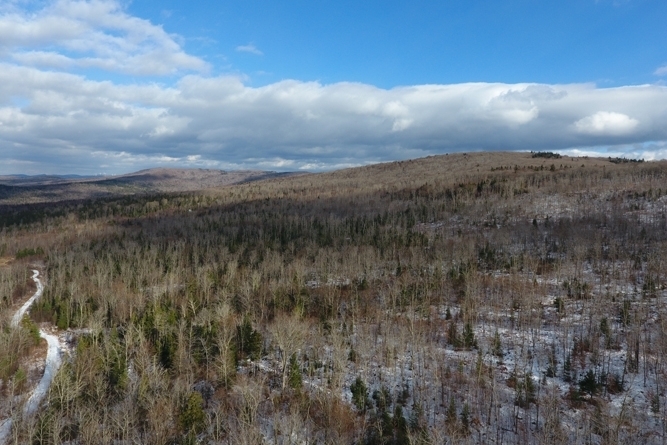 The long-range views from the cabin site are impressive and include local vistas of the property’s eastern, western and northern slopes. Also noteworthy is the solitude offered at this location, where no nearby highway or any other forms of noise pollution exist.